To give you some context... Sophia was one of my students in Frumpy to Fabulous and graciously agreed to share the inside story on her experience with the program. Frumpy to Fabulous is a 4-week, easy-to-apply video course that walks you through understanding your style and body so that you can experience confidence about your wardrobe as a mom. Step 1: Understand what's getting in the way of a wardrobe you feel confident about. Step 4: Choose a color scheme of colors that you love, look good on you, and allow for mixing and matching. Step 5: Map out your ideal wardrobe in a custom wardrobe plan, from tops to bottoms to jewelry. Want my help walking through how to complete these steps? Click the button below. Now meet our sweet mama! Tell us a bit about yourself. Where do you live and how many kiddos do you have? I live in the San Francisco Bay Area of California. I have a wonderful engineer husband and am a stay-at-home, Homeschooling mom of four adorable & vibrant kids, ages 7 to 1. Did your experience with fashion and clothes change after becoming a mama? How? Yes, it did change. Before becoming a mother I had the leisure of going shopping whenever I wanted to and budget allowed. As I wasn't even aware of capsule wardrobes, or even trying to put outfits together based on a style, I would mostly just go shopping and purchase things that I liked, whether they were classic, basic pieces or on trend. As with all mothers, after having my first baby, my shopping "freedoms" drastically declined. I felt like my shopping "trips" consisted of a hurried glance thru the clothing department, hoping to find an item that would catch my eye and happen to be on sale. I would generally look for something that was comfortable but still felt like something that I'd actually want to wear. What where the main questions or frustrations you faced? When starting Frumpy to Fabulous, my concerns included the need for time to shop for clothing, and how to buy clothes that would work for my changing body after having my last baby. 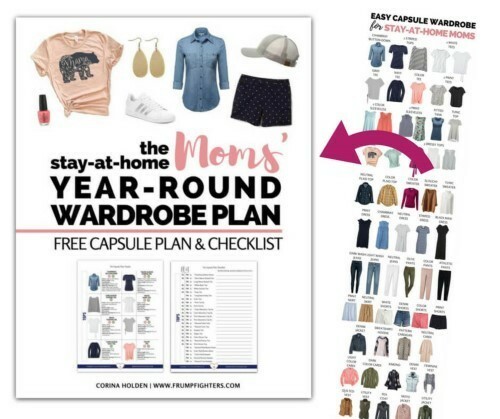 My biggest frustration was that now that I knew about capsule wardrobes and wanted to utilize one, I felt that I did not have a good handle on what to purchase or where to look for those clothes. What other resources or solutions have you tried before taking Frumpy to Fabulous? What was still missing that these resources didn’t offer? I mostly tried to use capsule wardrobe lists that I found on Pinterest. It was great to have a list of clothing items, or outfits to try and copy, but there was no personalization to the lists. If I was able to find time to emulate that outfit that I liked, I often found that it wasn't even really my style, or the fit was awkward and not comfortable. How did you first come across Now THAT I Can Do, Mama? What made you decide you wanted to take Frumpy to Fabulous when it was first offered? I was very excited about a sort of one-stop course, and it felt as if I had finally found the thing that was going to tie-up a lot of the loose ends for me. 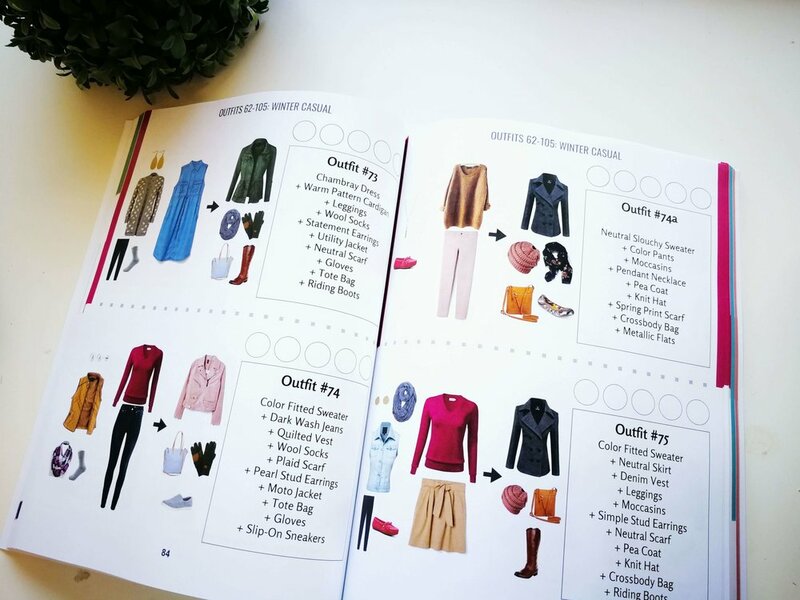 I anticipated learning things I didn't have time to go search out for myself, such as how to find my style or how to create a workable clothing list. The idea that I would be taken thru a step-by-step guide to learn how to identify which clothing items would really work for ME, with my style, my body shape, my budget, and even clothing that I liked, was a major attraction! I certainly found all of this and much more in Frumpy to Fabulous! After going through the modules of Frumpy to Fabulous, what do you understand or grasp better than you did before? I found it so helpful to recognize what my body shape actually is, not what it used to be or what I hope it will be, and that dressing for my body as it is at the moment, will help me to feel my best. This understanding has been very helpful in selecting specific items that I want to add to my wardrobe (ie- a boat neck 3/4 sleeve t-shirt, a pencil skirt, or colored bermuda shorts). Did you have any special “aha!” moments when going through the course? What were they? Yes, I had several. This sounds like a funny thing to discover, but I now understand that I already had a style that I liked! It really helped to take time to observe what I liked about certain peices, and to put a name to it. A light-bulb really went off when I understood that it is OKAY not to go with what is trendy just because it is "trendy"; I can look for that trend as it fits into my style, and then add it in if I want to. What are one or two tangible benefits you have experienced after completing the steps of Frumpy to Fabulous? Why are these benefits important to you? I now have a personalized shopping list that I can take with me whenever I go shopping. I have confidence to walk into the store and look for specific items without feeling that old panic of merely hoping to find something; I feel a sort of peace that if I don't find it at this store, I'll just look at the next. It may take some time to find that one item, but I won't be wasting time (and money) browsing the aisles looking for anything to catch my eye, praying that it fits and then bringing it home, only to have it sit in my closet going unworn. After going through the module about discovering your personal style, what 3 words did you settle on to describe it? How has knowing this helped you? The three words were classic, simple and elegant. It has helped me recognize that my style is unique and that it is okay to admire someone else's outfit or style, but I do not have to emulate it in order to look nice. I am "allowed" to be me. Having confidence in my own skin, and the life God has given me, is something that I have been growing in over the past year, and how I dress is one area that has been the most affected. What’s it like to have your custom wardrobe plan after completing the last module? And I know specifically what I want to purchase and I have a plan of attack. No more surfing the net for a dress and hoping that a style that I like will show up on the search. I would highly recommend this course to any woman, Mama or single, young woman or more mature, who wants to gain a better understanding of her style and the clothing that will help her to feel her best. This course goes beyond the Capsule Wardrobe to help you to gain confidence in your unique style, while still providing lots of guidance in what to add to your wardrobe, and choose how to those items. It truly is an all-in-one course! What part of Sophia's story resonated with you? Join the next group of ladies going through Frumpy to Fabulous, and stop spending on clothes that don't satisfy your needs!